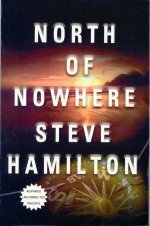 Steve Hamilton has started a wonderful series. 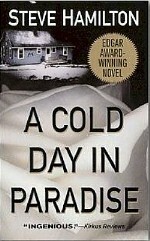 The first book, A Cold Day In Paradise, won the Edgar Award for Best First Novel, and also the Shamus Award. It has classic elements of noir and a fresh new feel at the same time. We find the hero of this series residing in a small town in The Upper Peninsula of Michigan. A town called Paradise, near the Canadian border on Lake Superior. It’s a small town. A quiet town. And things keep happening that make it really hard for Alex to enjoy quiet time alone. So who, you ask, is Alex McKnight? Alex used to play minor league baseball. That ended because he just wasn't quite good enough for the majors. He was also a cop in Detroit. That ended because he and his partner were ambushed and shot. Now Alex has a bullet stuck in him, near his heart. But he got off easy. His partner died. And it still weighs heavily on Alex. And now Alex is retired, living in a cabin his Father built. Alex helped him build it, along with a few others. Each one was built better than the one before, but Alex lives in the first one. The rest he rents out to people who are on vacation. Jon - So is Alex actually retired, or a PI, or a semi retired part time PI? How would you describe Alex? Steve- Alex is a very reluctant PI, somebody who got roped into it against his better judgement and now regrets every minute of it -- and who has absolutely NO interest in ever doing anything remotely resembling PI work again. Every book, he has to be dragged into it by somebody. Good thing he's a total sap at heart. Jon - Are you planning to Alex venture out of the Michigan area at any point? Steve - The next book is set almost entirely in Canada. How's that? Alex knows some people in the community were he lives, and is even friends with a few. In the first book we are introduced to some of his friends and some people who will become friends. Jackie runs The Glasgow Inn. Alex spends a lot of time there sitting by the fire drinking beer that Jackie brings in from Canada just for him. Then there is Leon. A wannabe PI. In the first book he is actually working the case Alex takes over. As you can imagine this creates some bitterness. Later, the two form a partnership of sorts. Alex coming in to help when needed. Vinnie is an Ojibwa Indian who helps Alex out with the cabins, and is one of the people Alex feels a great loyalty to. 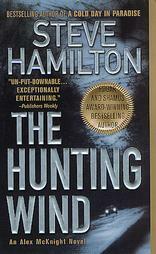 The books are well written and the premise in each book to motivate Alex into action work well and are believable. Along the way Steve also gives great idea what life is like in a rural town, the nuances make you believe you’ve been there. And reading each new book is like returning to a favorite vacation spot. I myself have learned a few things from the books as well: I’m pretty sure I don’t want to go ice fishing. I don’t want to go drinking with an ex-baseball player. A beautiful lake house probably means trouble. Being bored may not be a bad thing. Steve will tell you that he’s not as interesting as Alex. That may be so, I’m not one to judge. But I do know that Steve is a really nice guy, and a pleasure to talk to, and probably a lot happier than Alex. Steve grew up in the area around Detroit Michigan, and spent summers in the upper peninsula. He sent his first story to Ellery Queen Magazine at age twelve. They didn’t accept that one, but in the December 2001 issue there was a story by him published. Steve continued to write through high school and college. 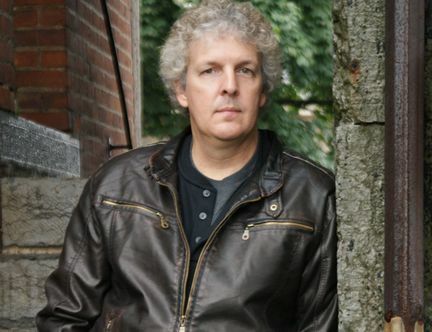 While attending the University Of Michigan he won the Hopwood Award for fiction. After college, he went to work for IBM and writing went to the back burner for a while. But after ten year hiatus he began to write again. After selling a few short stories he decided to try his hand at a full length novel. The result of which is the Edgar wining Cold Day In Paradise. Jon- Even though you've always written fiction , did you ever think you would get it published and have the books catch on the way they have? Steve- I always kind of assumed, maybe naively, that if I worked hard enough and got good enough at writing, then the publishing thing would take care of itself. I never really thought about what that would mean in reality, or whether it would ever be anything more than just a few short stories in magazines. I've said this before many times, and it's kind of corny, but it's still true -- the whole thing has been like a dream, like something that happens in my own little imaginary world. I can go away to a mystery conference, or out on a book tour, and be in that imaginary world for a few days at a time, and then I come back home to real life. Steve still works for IBM, but he takes a leave of absence now and then to tour (and to play golf). Jon-Is there a something in particular that you love about golf? Steve-I grew up in a golf family, and I fought against the game for many years before finally succumbing to it. It was in my blood, kind of like being a vampire. My brother and I and a few other Americans will play Rider Cup format matches against these guys from England and Finland every year -- we've played in Scotland, Ireland, and Spain so far. That's when I really love it, when I can go to a great old British Open golf course, like Turnberry or Troon or St. Andrews, with the rough up to your knees and a wind that'll just about knock you over, and then retire to the pub for the evening. Jon - Your books are showing up in many different countries. Do you think the small town setting makes them more accessible to readers outside the US? Steve - They keep sending me reviews from different newspapers in the UK, and apparently the books go over pretty well there. When you start getting into the translated versions, like Japan, Germany, Italy, that's where I can't even imagine it anymore. I'll be going to Germany this summer, so maybe it'll become a little more real to me. I'm appearing at this one-day conference in Koeln -- nine German writers, a folk music band, and me. He writes later in the evening after the family goes to bed, a night owl, not unlike many mystery readers. He now lives in upstate New York with his family, though judging by his books, I would say that part of him is in Paradise.